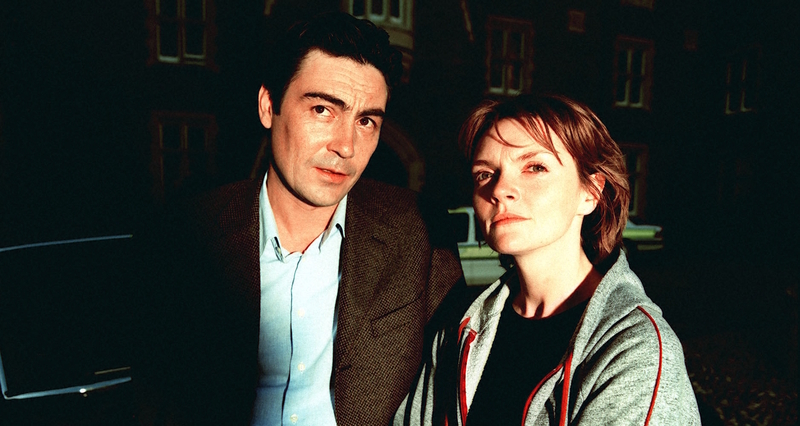 Before there was Luther, and before there was Scott and Bailey, or Cumberbatch as Sherlock, there was Lynley. 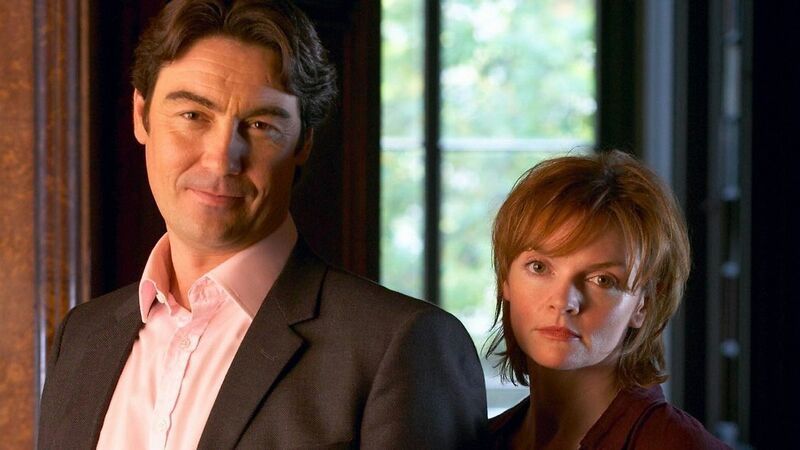 Beginning in 2001 and spanning six seasons, The Inspector Lynley Mysteries won over a devoted audience with its well plotted and paced investigations when it originally aired on BBC One. 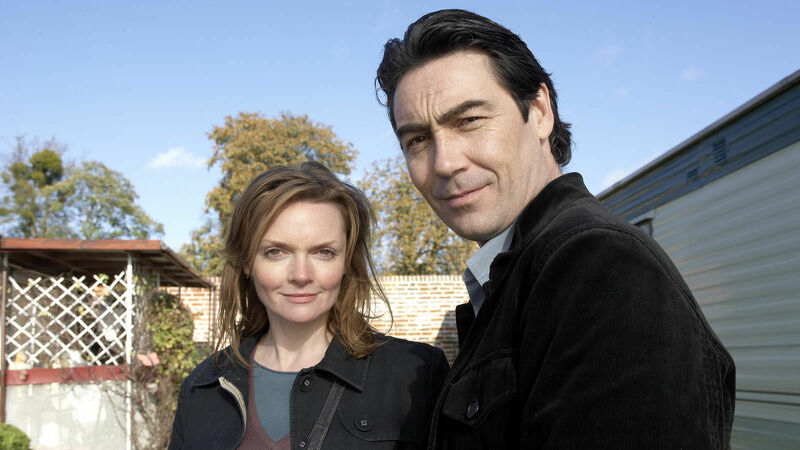 What really made it stand out from the pack of British detective dramas, though, were the clashes of personality, gender, and class between its two striking leads – Nathaniel Parker as the dapper Detective Inspector Thomas Lynley, a.k.a the 8th Earl of Asherton, and Sharon Small as the stout-hearted, working class Detective Sergeant Barbara Havers. Looking back on it now, the show was also packed with a number of superstars to be, with Idris Elba, Henry Cavill, and James McAvoy among its guest cast. “You see?! That’s fantastic!”, Parker exclaims in the direction of his co-star. “You’re right, we did! I’ll never forget that… I think we got in people’s way, although it was the end of their day, because we shot at about 8 in the morning, and they work through the night there”. “They weren’t being paid. They were playing dead, and they were bloody good!”, he jokes. “Well spotted, though. We jumped out the car just up the road, and we both recognised it and said ‘Oh yeah, we shot here’. But then that happens to us most places around London; wherever it is, we shot there”. “In each of the series we had two urban [cases] and then two somewhere on location, so Cornwall, Derby, Scotland, East Coast, Berkshire…”, Sharon Small expands. “Oxfordshire, we did a couple there”, contributes Parker. “I don’t think we ever did Gloucestershire, which is where I live now. I’m trying to produce a drama, which is set in a little Gloucestershire village. Strange, that, as I happen to live in a little Gloucestershire village!”, he says. “We’re yet to get it off the ground, but it’s about an amateur sleuth”, Parker tells me. “It’s written by Cecil Day-Lewis under a pen name he used to use, ‘Nicholas Blake’. It’s a wonderful thriller called The Beast Must Die … I think he wrote seventeen [books] with this amateur sleuth in it, whose uncle was high up in Scotland Yard, so that was his connection with the police. He has a very strong female lead next to him, because in those days [the 1930s] you had all of these wonderful, adventurous women, who would star in these sleuthy things, and it’s brilliant! God, it’s clever. It’s the cleverest plot I’ve ever read. But anyway, let’s talk about Lynley!”, he says without once stopping to take a breath. So yes, back to Lynley. Why do Parker and Small think the show was such a success? “They were good stories, they looked brilliant, and they had fabulous actors in them – and I don’t mean us, I just mean the fantastic guests. Then on top of that I think our chemistry was good, and our backstories were clear and interesting”, says Small in her quiet, Scottish tones. “You’re right, they were beautifully shot”, agrees Parker. “We had a succession of camera operators who were really fantastic; really thorough and interesting. It was not shot in a regular way – although you do have to fit a certain amount of formula for TV. There was one guy who would use about four different mirrors for the light to get to you. And as Sharon says, the actors we had were amazing”. “And the combination of putting a man and a woman together wasn’t so popular then, and the class aspect of it, too”, picks up Small. “This was all from the American author’s point of view, so it was her take on how the class system works, which I suppose [resulted in] slightly extreme versions, or heightened, I think is a better word”, says Parker, referring to the Ohio novelist behind the Lynley stories, Elizabeth George. “But we were particularly popular in Germany, weren’t we?”, suggests Small. “All over Europe! But definitely very popular there”, Parker says. “Although I sometimes worry about saying we were popular. It’s a bit like the old rock bands saying ‘Yeah, we were big in Germany … for a week’. Actually we were, though”. “Except we were dubbed, so we had different voices”, Small adds. “They gave [Nathaniel] a really cool voice, didn’t they? And they gave me a voice that was a bit like this: *puts on breathy impression*. I was a bit like, ‘Wait, I’m the cool one’”! Thinking about it now, shows like The Bridge, and The Killing, and a lot of new international crime dramas seem to borrow from the Lynley / Havers relationship. 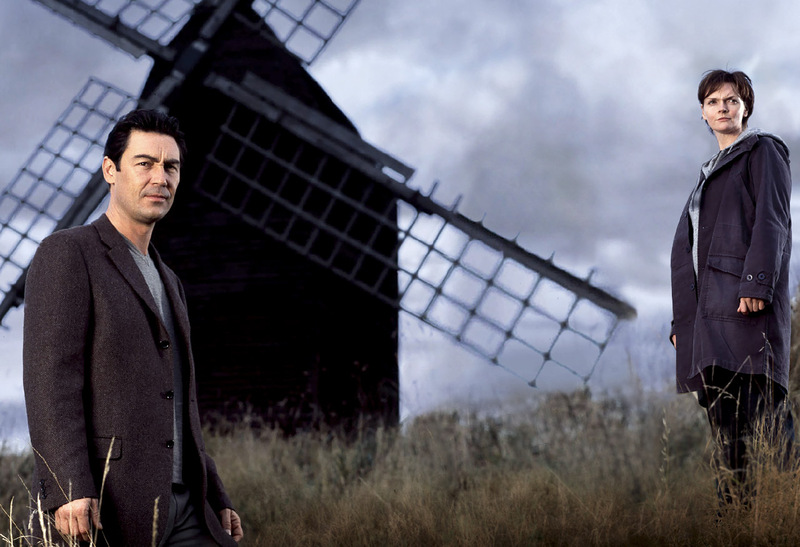 Do Parker and Small ever watch new detective dramas and think ‘they took that from us’, I ask? “I’d never thought of that!”, says Parker. “But I suppose Sharon’s right, in that the man and woman thing wasn’t that popular at that point. It wasn’t completely original, and I mean you had The X Files before us, and Heart to Heart, but those were again more amateur things – more light hearted. Well, maybe not The X Files, but they weren’t just regular cops. And so that part of it, along with the class system, was a good tag. But it’s an interesting point, I hadn’t really thought about it! I do watch The Killing, and I do watch The Bridge, and Occupied, or whatever it happens to be that’s come out. But the new books that Elizabeth George has written since we finished filming are much darker, and are much more ‘Scandi’ oriented, with multi-plots”. So have the actors read the books? “I have”, says Parker. “Not all the books, but the three or four that she’s brought out since. I don’t usually do a whole lot of research on books, I have to say”. Sharon Small continues; “I read the first book, because I wanted to get an insight to the character, and then I didn’t continue after that – I went completely to work from script”. “I did stop reading [the Lynley books] when I read it said ‘aristocratic chin’, which I thought meant from *here* to *here*”, Parker says, measuring out the size of his head with his hands. “Having always had an issue about my chins, I was a bit nervous about that. But Sharon pointed out earlier today that she’d got to the point in the first book where it said that… *turning to Sharon* Oh, you put it better”. “In the scene when we were put together, Havers goes to the loo and cries, because she knows that she’s the only woman that he won’t try to sleep with”, Sharon finishes the anecdote. I did read that Elizabeth George said you were too pretty to play Havers, I reassure her. “Well, I was asked at the meeting that I went for: ‘How do you fancy playing a fat, ugly woman from London?’, but then we did a scene in the pilot when [Elizabeth] was actually on set watching it, and I was really nervous because I knew she had those concerns – especially me not being English, either, but being Scottish – and after we’d shot that scene apparently she gave the OK, because I’d managed to hopefully capture the essence of what the woman was about”. “I think that the biggest dilemma I had was that I wasn’t blonde and blue-eyed, which I think a lot of readers really wanted [Lynley] to be, so it should probably have been Nigel Havers”, Parker carries on. “Well I went on to sleep with him in Downton Abbey instead”, laughs Small. “I think [Nathaniel] got more movement in the more emotional stories”, says Small. “The parameters for Havers actually didn’t move that much, so it was about just trying to keep it honest and truthful. 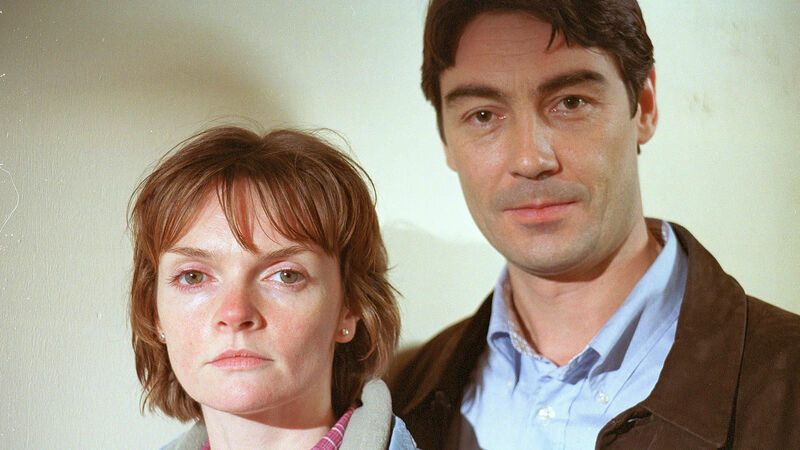 The only person I usually spoke to in every episode, apart from people being questioned by me, was Lynley. I didn’t really have anybody else outside of that. And once my mum had sort of disappeared out of the series, because she wasn’t well, and I ended up having to put her in a home, that was it. I didn’t really have anybody else”. “If we did a modern one of these, you’d have to then move her at two days’ notice from the home because they’d have to close down, because there’s no bloody money around!”, jokes Parker. “But I think that’s right, I did have a slightly fuller backstory on that front, and it was nice to develop like that”. “One of the issues the BBC had was with [Lynley’s romantic interest and future wife] Helen”, Parker mentions with a wry smile. “Emma Fielding started out playing Helen, and then couldn’t do the next series, so they wrote her out of the next series, and then when [the character] came back, [Fielding] wasn’t available either, so they had to bring somebody else in … I thought it was difficult for Lesley [Vickerage], because they brought her in on a different level. They brought her in on an investigative level, on a police level, and they wanted to make her less posh. I think that was tough, because that didn’t come out of the books; that came out of their imagination. And I think that made it harder for that character. But then we went through an awful lot, you know, in losing the baby, and her being shot at, and eventually, her dying! That was a new incarnation when Lesley couldn’t do it anymore either! Then we had Catherine Russell. So apart from having to deal with different wives, I had quite a big backstory!”, he laughs. Parker mentioned the idea of modernising the show, which is something I’ve been waiting to ask; what would be different if Lynley were rebooted in 2016? “The dynamic wouldn’t be that different”, says Parker. “The latest books which [Elizabeth George] has written since we’ve finished are darker. Lynley’s lost his wife, he’s feeling alone and deserted, and desperately in need of somebody or something, and in the books Havers then comes along and recognises this, but without just going ‘what can I do for you?’. Actually it’s a matter of a kick up the arse, pulling up his boots and saying ‘get on with it’. The dynamic there suddenly does become slightly different, but as a relationship I think they’d always looked at each other incredibly fondly. I mean, Sharon and I were brother and sister after a while”. “Also I think that naturally as you work together for seven years as well, and quite a lot of our job was also accommodating all of the guests coming in as well, we became quite a good unit for that, and with that came a lot of familiarity, and co-dependency in a way”, adds Small. “I think that would be nice to explore, in terms of just what familiarity brings to something – it allows for more humour, and it allows for really seeing somebody, and that’s what I’d like to explore in something like that. [Havers] could see [Lynley] in a way, and approach him in a way, that no one else could get away with. And embracing today’s kind of dramas as well, there’d be a lot more unspoken between us, because we know each other, and so you could buy that, as opposed to if they were just two strangers”. “And it would be two older single people! A spinster, and an ageing Tigger…”, adds Parker. Perhaps we could see Lynley and Havers trying their hand at internet dating, maybe..? “I did speed dating, undercover!”, Small reminds us of the show’s countless elements. Of course, we have to talk about some of the mega guest stars they had on the series. “There’ve been some amazing guests. We’ve been pretty lucky”, says Parker. “Just to start with, when we had Bill Nighy and John Sessions and Martin Jarvis, and Superman to be, Henry Cavill, in the same episode, that was pretty special. That was followed in the next episode by some wonderful older actors like Ronald Pickup, plus James McAvoy and Idris Elba… You know, not bad going to kick yourself off with as a series”. “Yes, they passed through us on their way to Hollywood!”, jokes Small. Do Parker and Small have favourite stories or moments from the show? “There are a lot!”, exclaims Parker. “I tell you, today has been a day of reflection, because the Drama Channel doing their wall-to-wall means that you’ve got lot to talk about. We’ve been looking at synopses saying ‘Oh god, do you remember that?’! “I remember one we shot under Putney bridge”, he says. “It was SO f***ing hot! It was unbelievable! We were filming in this basement flat, and outside the door we had two 10K lights pumping out heat. It was something like 31 degrees outside, and I was dripping! And we had to do this dialogue scene, with two of us in a car, plus the cameraman, the sound recordist, and the director, all in this tiny car. It was so hot. I went without my trousers on, so it was just my top half, with my jacket, and I completely forgot about that as we were driving, after about five laps of this journey. Then a bottle of water fell out the car window, and it was at five o’clock or something on a Friday evening, so this pub which was on the corner by the bridge was packed – absolutely packed! So I dropped this bottle of water and it went over that way, so I just got out the car, went over to this bottle of water, and suddenly realised; ‘Oh, God! My trousers!'”. Sharon offers another fond memory from the set: “I remember one, in fact it was on 9/11 day, and we were in a car but we couldn’t wait for the dark, so the guys were using these lights to make it look like passing cars, but it also had to be raining, so [one of us] was in the actual driving seat, while the other had to sit outside, but was obviously out in the water. So I just have this image of [Nathaniel] outside in this red raincoat being rained on, sitting on this little apple box and delivering lines to me”. “Oh that was so funny! But awful to be laughing on that day”, he corroborates. 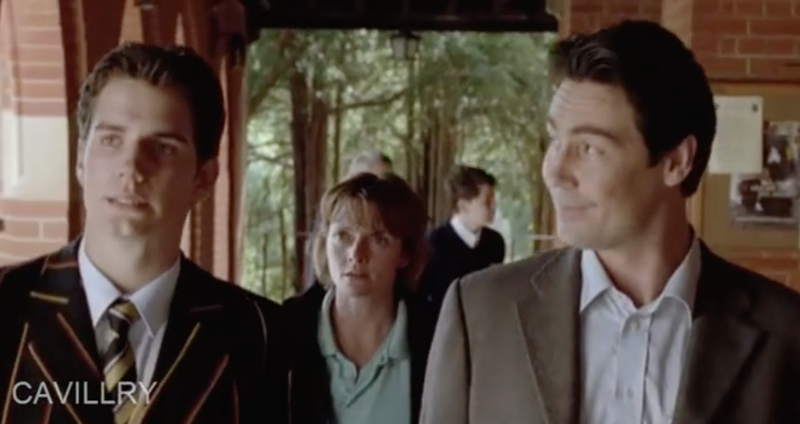 In the spirit of all every episode of The Inspector Lynley Mysteries being shown on the Drama channel this long weekend, have the actors gone back to re-watch any themselves? “…and as it happened. You think ‘oh my gosh, I remember that day'”, adds Small. “I’m looking forward to seeing the progression from the pilot through to the end of series seven, and seeing how we’ve changed. Because we do develop as people as well as actors”, closes Parker. So are we, Lynley. So are we. 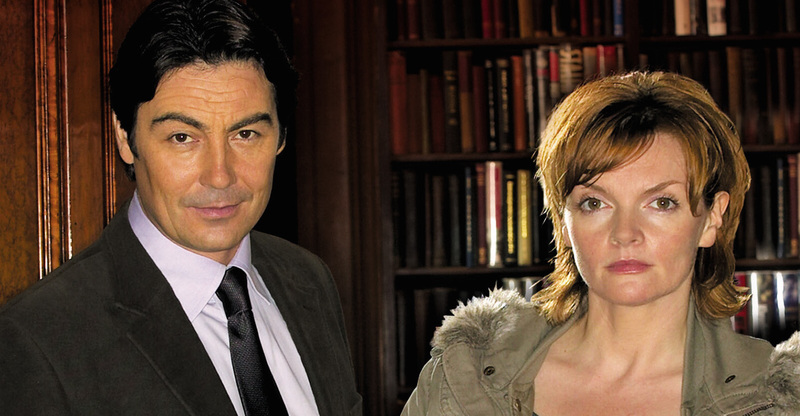 Watch every episode of The Inspector Lynley Mysteries, back to back, all Easter weekend from 7:00am today (25.03.16) on Drama.